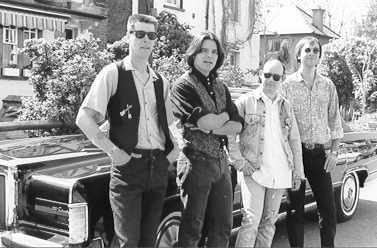 Certainly my best band of the 80’s and possibly the best band I’ve ever been in – The Silent Blue. I helped form the band after meeting singer/guitarist/songwriter Marcus Holler through a friend. Marcus had very strong ideas about where he was going musically, and no-one got in his way. It was both alarming and refreshing to work with someone who was so committed and who would think nothing of discarding completed songs (including some of mine) if he felt they didn’t measure up. 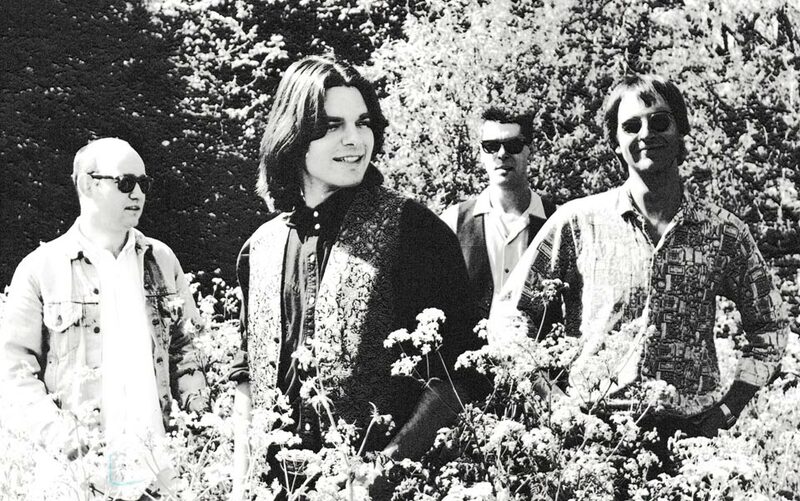 Our style was an amalgam of jangly country rock, inspired by the Byrds and the Long Ryders, although more aggressive than either. I bought a Rickenbacker 330-12 string guitar to add the melodic arpeggios to Marcus’s raucous rhythm and lead guitar. The brief first incarnation of ‘The Silent Blue’ featured a Spanish drummer and a brilliant bassist from Brixton. It felt we’d arrived, but then the drummer disappeared back to Spain and we lost the bass player too, so it was back to square one. After a short break, Marcus met up with Dave Martin who’d played bass with King Kurt, then I brought along Kevin from The Aviators on drums, and we were complete again. The four of us gelled from the start and it wasn’t long before we were playing gigs, both in London and Hertfordshire. 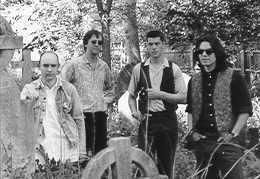 Although our first gig in Luton in 1988 was very wobbly we quickly got very tight, and after a while we landed a regular monthly slot at the Camden Falcon supporting The Barracudas and other similar bands. We recorded a couple of demo tracks in Summer 1989 – one of which, ‘Telephone’ was given away with ‘Bucketful of Brains’ magazine. After this taste of recording we made plans to make an album but we didn’t have enough cash between us to finance a full LP, so we decided on the 6 track mini album format so that we could record and sell it cheap and make a statement as quickly as possible. So in March 1990 we booked 3 days in RMS Studios in Norwood, South London and recorded the tracks for the LP which was released in May 1990 on our Marcus’s own Sugarbush Records. Magazine reviews were good, and we even played a live gig in a record shop in Richmond to promote the album. But it all seemed to go horribly wrong soon after this. Musical differences reared their head, and Kevin and I left the band. The Silent Blue carried on for a few months without us, and then sadly Dave Martin died.